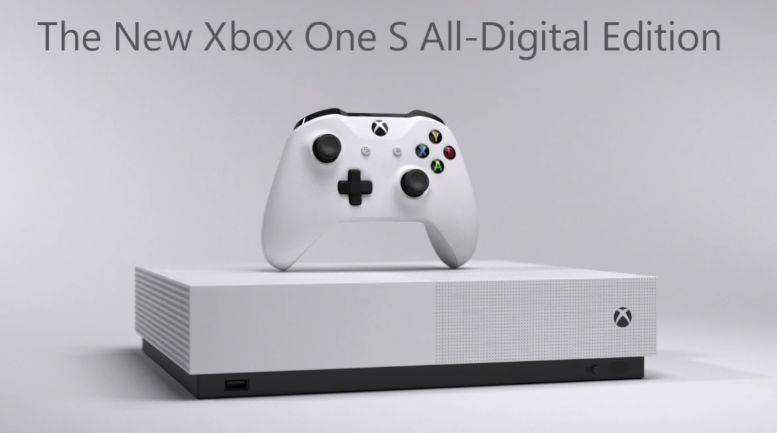 Microsoft unveiled their newest Xbox One iteration called Xbox One S All-Digital Edition. $249 and no disc drive since it's "all digital". But I don't see why people want a no disc drive version. IMHO, this thing is pretty much DOA. According to the press release, this system will come with 3 games digital games: Forza Horizon 3, Minecraft, and Sea of Thieves... Xbox Game pass is also $1 for 3 months. (04-17-2019, 08:08 AM)Andy Chan Wrote: But I don't see why people want a no disc drive version. IMHO, this thing is pretty much DOA. Pretty much, the majority populace will never go digital only. This thing is mainly for people who don't know any better and just buy it as a toy for their kids. Considering all the equiptment removed ,it should have been significantly cheaper. Not only that as You, Mai and I have mentioned in other threads, the biggest issue is When you buy digital games, you don't own jack nep. All you're paying for is the ability to access the game so long as the license exists, you have access ot the account and the game is on the servers. Case and point, the 2 or 3 times the eshop has closed making peoples Wii and WiiU games unaccessable. The other being that 90% of the time most games bought digitally are far more expensive then what you can get physically via amazon, best buy, and most other retail stores. The only real viable platform for digital only games will pretty much only ever be Steam because despite it's flaws, they understand the market, customers and supply and demand. Even if I'm getting more games digitally, what about when I want to watch my DVDs? Definitely seems a bad business move. The Target group might be people like me who are pretty much 98% digital/streaming only by now but even I wouldn't buy it as even I buy some stuff on disc if I see a sale. @Stripe ... wait DVD's? Are you a Time Traveller from 20 Years ago?